‘My Water’s On Fire Tonight’ is a product of Studio 20 NYU, in collaboration with Pro Publica: Journalism in the Public Interest. Ian Angus replies to Anders Ekeland: Ecosocialists must understand and build on James Hansen’s entire program, not reduce it to a single policy that isn’t suitable for building mass movements. Jonathan Neale says climate change isn’t just a moral issue, it’s a matter of life and death … and socialists can play an important role in stopping it. The global food crisis is tightly connected to poverty, climate change, ecological destruction, migrant workers, imperialism, health and the super-exploitation of workers. Has the left been unduly critical of carbon taxes as a means of reducing greenhouse gas emissions? 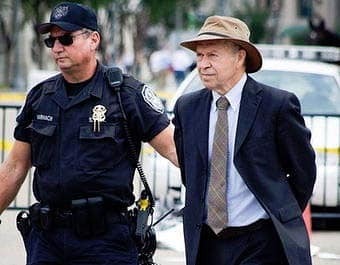 Is James Hansen’s “fee and dividend” scheme the kind of practical and concrete plan we should endorse and promote? Video from Australia: Socialist Alliance member Gemma Weedall speaking at the Marxism 2014 conference. Will capitalism’s death wish kill us all? Global warming is driving us towards a precipice, but capitalism just keeps on with business as usual. Why won’t our rulers slam on the brakes?